Took place the 12-16 March in Vienna, Austria, the 61st CND Session UNODC – Commission on Narcotic Drugs – United Nations Office on Crime and Drugs. Dianova Portugal attended as participant and speaker at side events on treatment and prevention. The final goal: to reinforce the message that Addiction Treatment Works! The annual meeting of the CND, UNODC, is an event aimed to Member States, United Nations Agencies and Civil Society organisations. Namely, those registred at DESA and with Status ECOSOC at the United Nations. They debate and approve international drug policies, share best practices and enhance networking opportunities related to drugs. > drug addiction, prevention, treatment , social reintegration, sustainable development, drug trafficking, money laundry and other related issues. > poverty, empowerment of women, education, criminality, human rights, health, social exclusion, migration, gender equality, economic development. 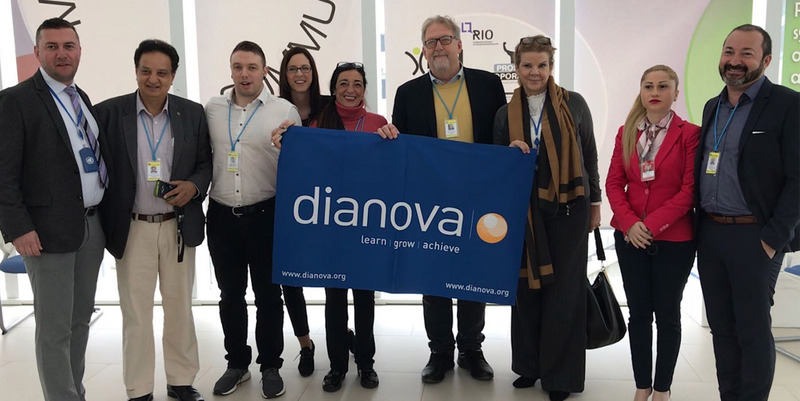 Dianova Portugal, as member of the VNGOC and Dianova International, attended as Speaker with global results of Dianova network and addiction treatment outcomes of Portugal, Italy, Spain and Chile. The side event: “40 Years of Drugs. Drug Addiction and Recovery”. San Patrignano was responsible for the organization, and co-sponsored by Dianova. “The Declaration of Mallorca recognizes therapeutic communities as one of the most effective approaches to treatment and Recovery. Namely, of people with addictions and their families worldwide”. In Portugal, Quinta das Lapas Therapeutic Community, certified with Quality Management ISO 9001, certifies this statement. Its retention rates at 3 (80%) and 6 months (51%) are predictors of success of treatment and social reintegration. > “Strengthening the global prevention response: International Standards for Drug Use Prevention second edition. Listen First Campaign and Stronger Families programme”. Dianova has been nominated to present the #ListenFirts Dianova campaign in 14 countries. > and Informal Dialogues between UNODC and VNGOC Civil Society. Last but not least, attended as member the VNGOC General Assembly in which new Board has been elected. In particular, chaired by Jamie Bridge, IPDC, and Lucia Goberna, Dianova International, as Deputy Chairperson, the 15 march.